DLB-1 - Librarian Denim Shirt SALE Only $10.00 Only Small is left. 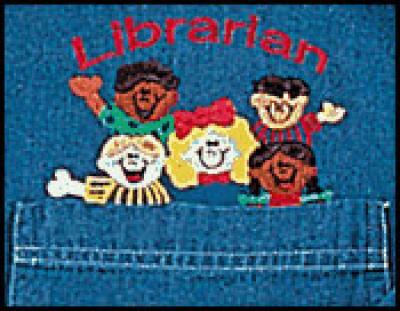 "Librarian denim shirt. The word ""librarian"" is embroidered, along with the faces of happy children. Denim shirt with embroidery. Adult Ladies Cut 100% cotton. Great gift for school librarians!" Only small is left in stock.